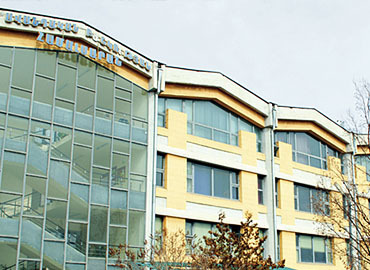 Yerevan State Medical University (YSMU) is one of the leading medical universities in Armenia. 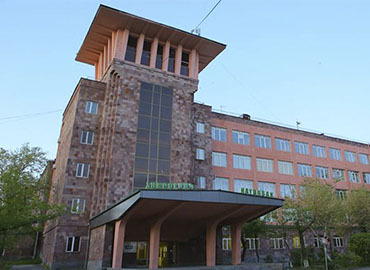 The Yerevan State Medical University was initially established in the year 1920 January, by the Armenian Government with the name of the People’s University of Armenia. Later in the month of October, the government of Armenia introduced the faculty of medicine in the university to encourage students to accept medicine as a career option and thus contribute to society. In 1989, the university was renamed after an eminent Armenian physicist – Mkhitar Heratsi who was honoured for his contribution in the field of medicine. At present, the university has more than 1100 faculties and 7000 students with 24% of them are international students coming from 26 countries including India, the United States of America, France, Great Britain, Poland, etc. 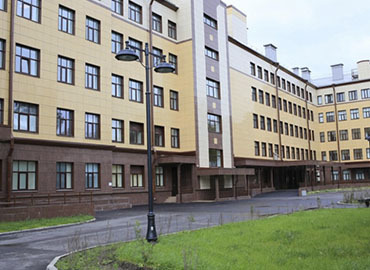 The course duration of the continuous and integrated educational programs for a bachelor’s degree in general medicine and military medicine is for six years. The university has collaborated with 2 hospitals where all students get real-life experience, during the course of their graduation. And clear the YSMU entrance test held in month of June every year. For all international students, the university offers cosy and comfortable accommodations. The rooms are provided on a sharing basis of 3-5 students of the same gender. All the rooms have basic facilities such as beds, cupboards, television, air-conditioning and Wi-Fi connectivity. There is a kitchen on every floor providing students with the option to cook. The student canteen serves multi-cuisine food including Indian, Chinese, Malaysian, etc. The library of Yerevan State Medical University is one of the largest libraries in Armenia, as it constitutes more than 65,000 books and professional literature. The university has a student’s sports complex where students can enjoy their leisure time by indulging in various sports activities such as swimming, gymnastics, playing football, basketball, etc. The university conducts various cultural activities for the students so that students don’t miss the feeling of home. The city of Yerevan is one of the largest and the capital city of Armenia and is established along the river Hrazdan. It is considered as one of the world’s oldest continuously inhabited cities. Since 1918, the city has been serving as the capital of the country. The city has a diverse economy of various industries including chemicals, primary steel and metal products, machinery, plastics, rubber products, carpets and rugs textiles, footwear and clothing, wood products and furniture, mineral water, dairy products, and processed food, alcoholic beverages, stone processing, and building materials, etc. The city has a cold semi-arid climate with short, cold and snowy winters; and long, hot and dry summers. The city has a well-connected transportation system. The best way to go through the city is by using buses, trams, trolley buses. The city is often known as the ‘Pink City’ because the colour of the stones which were used to build the maximum area of the city centre was pink. The city offers various tourist attractions including Republic Square, The Matenadaran library, museums, and parks. Above Fees Structure Includes Tuition Fees,Hostel Fee.